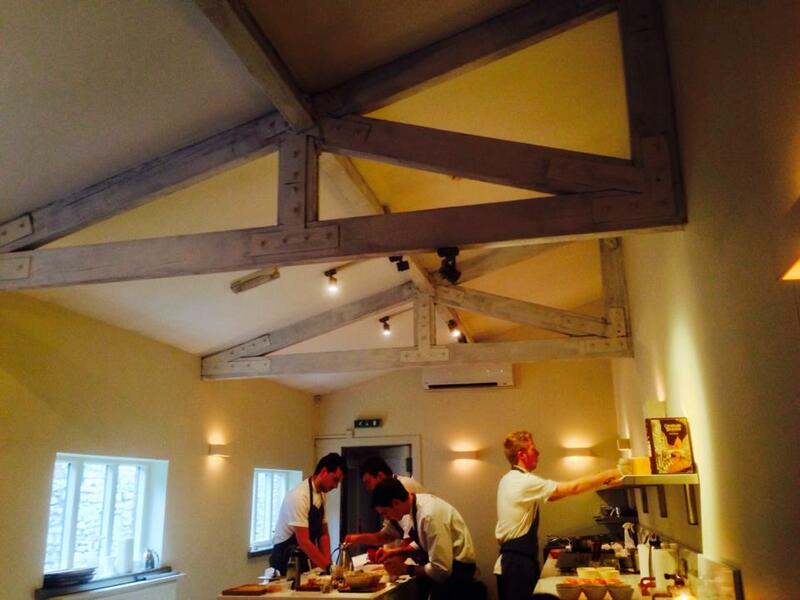 As with any other foodie’s goals, I wanted to try as many Michelin starred restaurants in the UK as possible, and the opportunity came for Casamia when my friends and I decided to make a road trip to Bristol. I first came across Casamia watching Ramsay’s Best Restaurant, a TV programme created by none other than the eminent Gordon Ramsay himself, on Channel 4. Casamia was one of the two Italian restaurants vying for the title of UK’s Best Restaurant and – low and behold – they won! A small family run restaurant with two chef brothers leading the kitchen and their very loving parents managing the dining hall, Casamia’s very feat of obtaining one Michelin star speaks volumes about the quality of its food, amongst other things. We ordered a seven course Christmas lunch menu, which costs £38 – not too pricey I must say. The atmosphere of the restaurant was really vibrant and they even have an open concept kitchen where, if you were sitting nearby as we did, you could see the cooks preparing the dishes first-hand! Interesting – but it made our stomachs rumble too much whilst waiting for upcoming dishes. 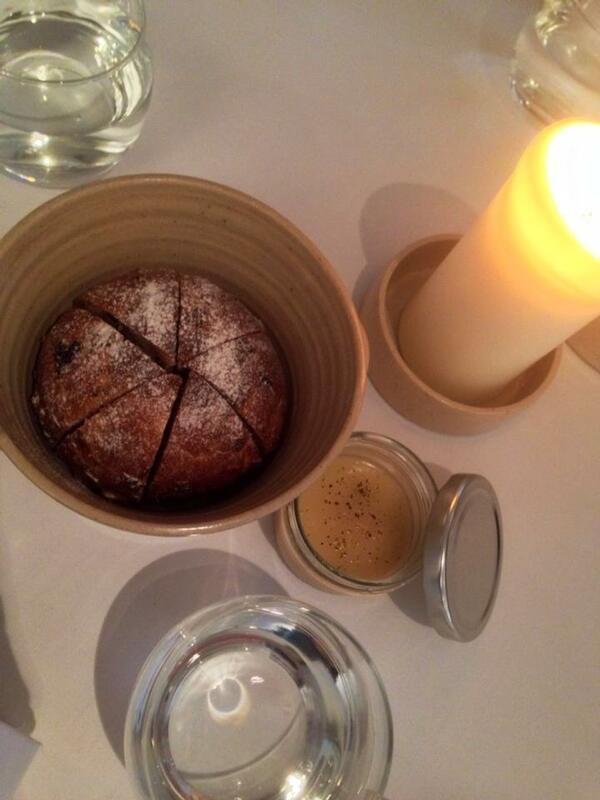 First up was a fruit and nut bread, served with buttered chicken livers. The bread was soft, spongy and moist. And ratio of fruit, nut and bread was just perfect. However, the star of the dish was undoubtedly the chicken liver pâté, which was absolutely rich in flavour, but balanced nicely with the layer of butter on top. Now, I’m not a person who generally enjoys the rich taste of livers, other than foie gras, but that ingenious addition of a layer of butter sealed the deal for me. The second dish was the cheese and pickle tart, which consists of a crispy tart filled to the brim with a sort of cheesy foam mixed with tiny-diced pickles. The textures were amazing: The cheese foam will instantly melt as it meets your warm and moist tongue while the crispness of the tart complements it. However, taste-wise: nothing to shout about. Then came the smoked Loch Duart salmon. 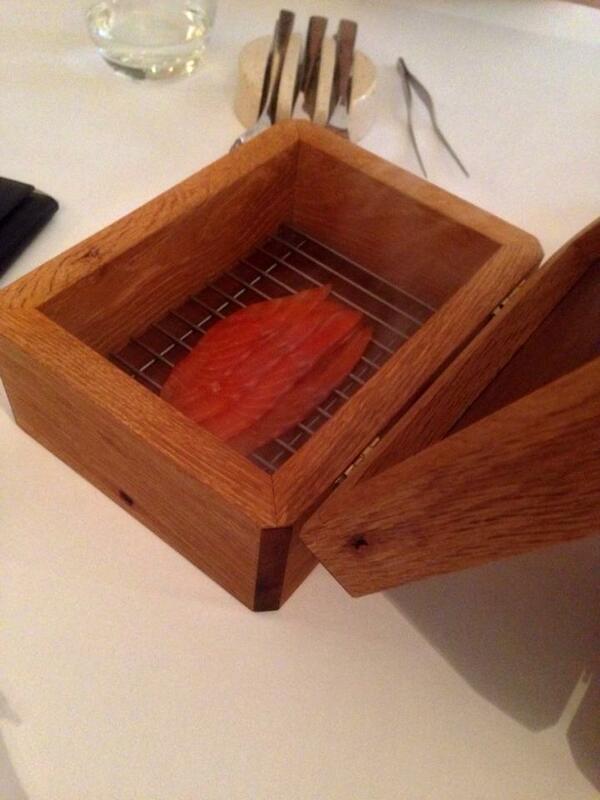 According to the waiter, they smoked the salmon themselves in the wooden casket which was used to serve with. When the waiter opened the casket, a cloud of smoke emerged which smelled like what a second-hand smoker would breathe in. Inside laid four pieces of raw salmon filets and we were asked to use tweezers to eat them. On the whole, I didn’t find this dish particularly special apart from its unique presentation – it would be more so if we were allowed to keep the casket though! 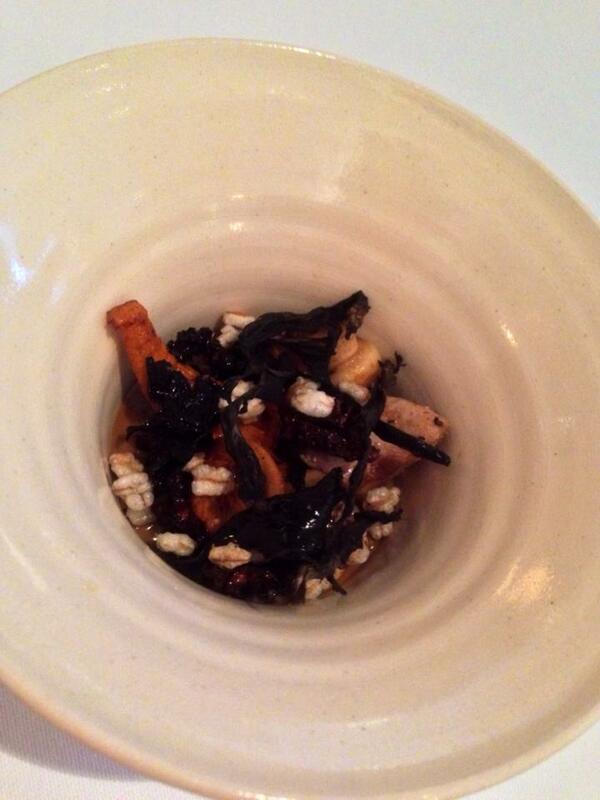 The fourth dish was forest mushrooms with spelt (a kind of wheat). The dish is, to quote Ramsay, an avant-garde take on your traditional Italian mushroom risotto. Instead of using Arborio rice to cook the base for the risotto, spelt was used. Conservative food critics might be too fast to oppose this atrocity but I must say it absolutely works! It was basically like eating your typical Starbucks porridge, but with extremely earthy, strong and intense mushroom flavours. If you’re a fan of the mushroom, then this dish will definitely knock your socks off. Hell, I would pay more for seconds! After a long wait, the venison with parsnips and turnip purée was served. The dish was beautifully decorated, but the tastes and textures were far more splendid. I didn’t ask the waiter but I strongly think that the venison was cooked using the sous-vide method, and then seared off on one side to give it a nice colour. It literally disintegrates in your mouth and the taste was subtle but exquisite. 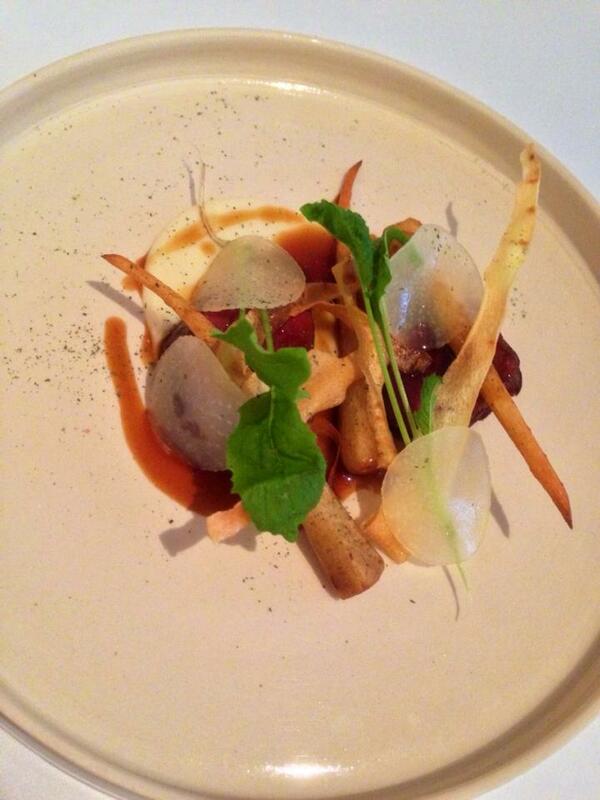 The parsnips and turnip purée had delicate flavours and made to perfection as well. Another interesting element the dish had was the extremely flavourful brown crisps (I’m not exactly sure what were they) which just brightens up the whole dish to give it the oomph factor! Now, our sixth dish, celery root rice pudding, marked the transition from the savoury dishes to the sweet desserts, according to our waiter. What puzzled me was that nothing about this dish was particularly savoury in the conventional sense other than the fact that it made use of celery, which is usually used for savoury dishes. 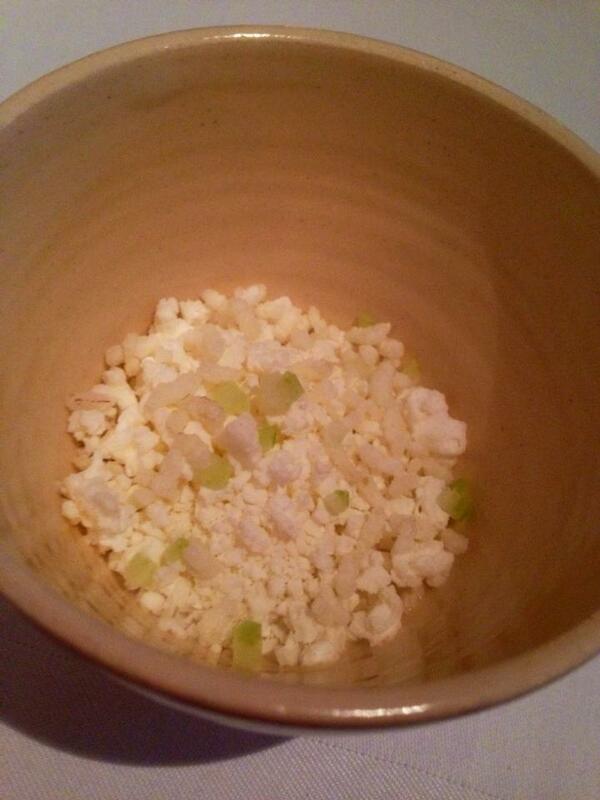 In fact the celery cubes were so puny, I could hardly taste it (which, to be fair, was actually to my benefit because I don’t like celeries). What was special, though, was that there were small pockets of warm pudding the overall cold dessert, which will give its eaters a pleasant surprise when stumbled upon. Alas, the final dish, mandarin orange with rosemary was served. 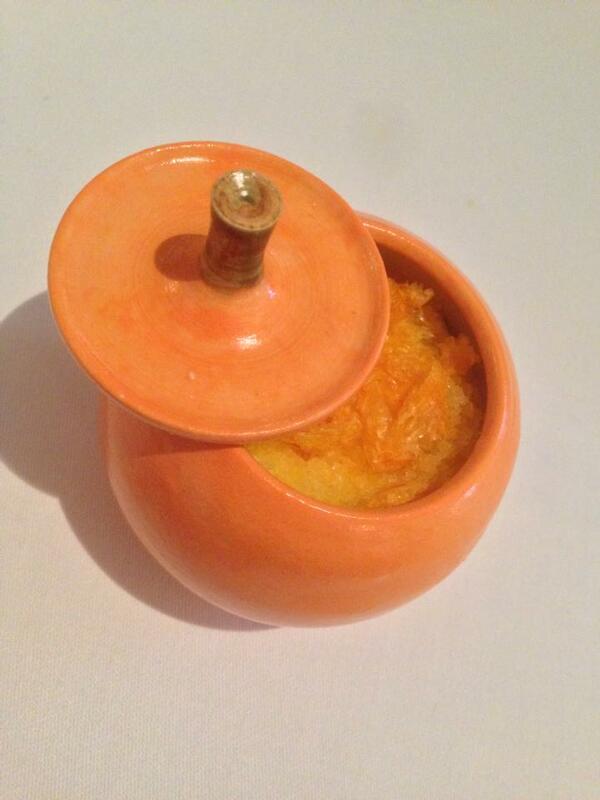 It came in a little orange-resembling porcelain pot which, when opened, contained freeze-dried mandarin orange on the top layer, rosemary flavoured cream in the middle, and some mandarin orange at the bottom. The first thing I thought was: Why wasn’t this dish used as the transition?! It consists primarily of rosemary tasting cream and rosemary was indubitably a flavour we would associate with savoury dishes! Just think – steak, roast potatoes, chicken… the list just goes on! Pardon my rant, but apart from the sequential mix up, this dessert was actually pretty damn amazing. Rosemary as a primary flavour for a dessert complemented with your good ol’ mandarin orange actually works really well! Also, how they made the freeze-dried mandarin orange on the top layer really awed me. That said, SECONDS PLEASE! On the whole, my Casamia experience, as with my fellow diners, was an extremely pleasant one. The food and service – sublime. 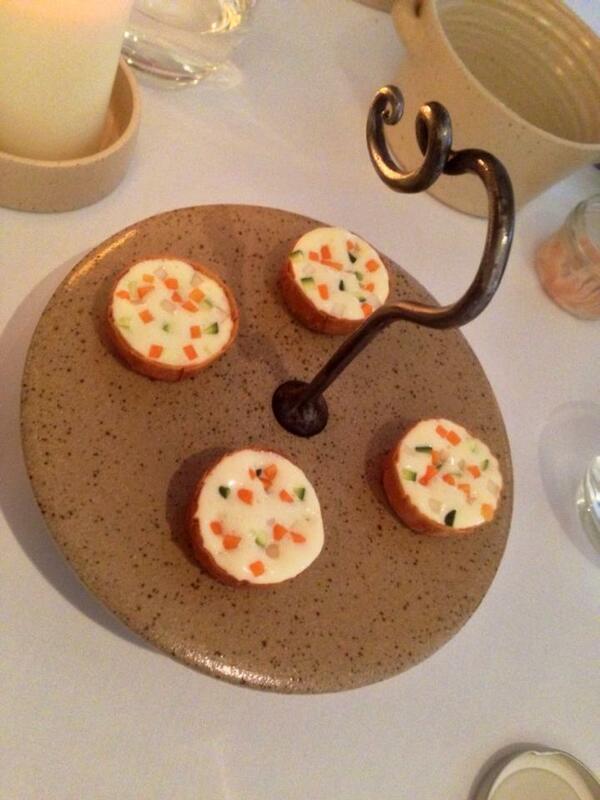 It is no wonder they won the best UK restaurant award. We left Casamia with only one regret: not trying the more comprehensive eleven course lunch menu. That said, I wouldn’t recommend heading down to Bristol just to experience Casamia. But if you’re dropping by perhaps to visit a friend or for whatever reason, please do yourself a favour and visit Casamia!